Songwriter, singer, actor, and Tonight show favorite Paul Williams was a cultural icon throughout the 1970s and 1980s, and is the subject of the documentary Paul Williams: Still Alive. The hit songs he wrote dominated the charts and became staples, including â€œAn Old Fashioned Love Song,â€? â€œWeâ€™ve Only Just Begun,â€? and â€œRainbow Connection,â€? 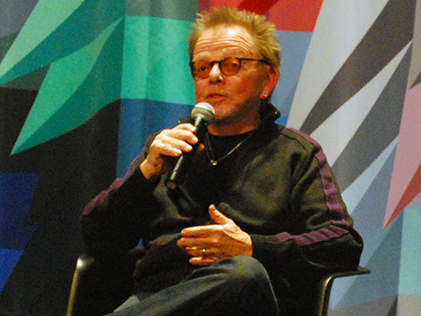 and Williams appeared as an actor on the big and small screens, most notably as the villainous Swan in Brian De Palmaâ€™s cult classic Phantom of the Paradise (which he also co-scored). Williams was honored with a weekend retrospective at Museum of the Moving Image. This discussion followed the screening of Phantom of the Paradise.